At the urging of reviewers and the filmmakers, audiences went in “blind” to the movie and left intrigued by what the website Found Footage Critic dubbed “a barrage of what-the-fuckery” (8.8/10 rating). THE TRIANGLE DVD, now available on Amazon, offers a chance to watch the movie again followed by deleted scenes and special features that will answer some of the most frequently asked questions about the film. 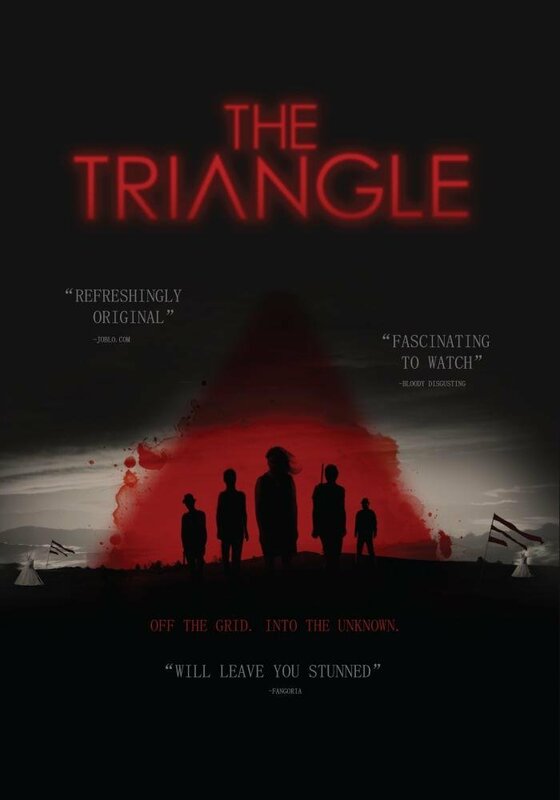 THE TRIANGLE DVD includes a 10-minute “Making of The Triangle” featurette, plus 3 separate audio commentaries from the producers and directors, 9 deleted scenes and brand new cover art. THE TRIANGLE DVD’s extra features provide more information about the unique filmmaking process and the critically acclaimed performances by the actors. Producers and directors explain how the filmmakers -- portrayed on screen by the actual filmmakers -- did not know what was happening during filming of THE TRIANGLE when they first arrived, and how they managed to craft a unified storyline through their unique filmmaking approach. The DVD includes revealing audio commentary sessions with directors Adam Stilwell, Andrew Rizzo, and Nathaniel Peterson; producers Nicholas Daue, Nathaniel Peterson, and Adam Stilwell; and Directors Adam Pitman and David Blair. The filmmakers culled through more than 200 hours of footage to make the film, leaving behind hours of worthy material that didn’t make the cut. Nine of the filmmakers’ favorite deleted scenes are included in the extras as well as a 10-minute behind-the-scenes look at the unique process the filmmakers used to help blur the lines between reality and fiction. All in all, over 5 hours of extras. THE TRIANGLE will also be available through Amazon Prime worldwide and iTunes Extras Worldwide on 27th November 2017. The film is currently available for rent or download at iTunes, Amazon, Vudu, Google Play, and Microsoft. THE TRIANGLE is distributed by 108 Media and is supported by the Montana Film Office.